Employee tracking system, this is a project which will help the managers to monitor their employees on the move. Get the longitude and latitude from GPS and store it in online database and the managers can see and track their employees on the google map. It connects to jabber servers and facilitates Jabber Users along with MSN, YAHOO and AOL etc to chat under a window via single login. Currently, binaries are only available for Microsoft Windows. Addin for outlook, this will syncronise an online appointment website with the outlook scheduling system. On each start of outlook the addin will get the data from appointment website and add new appointments into the outlook and also updates any changes to local appointments into the server. It converts your screen to an editable image which allows you to crop it in multiple shapes. This applications will remain active in the tray of the windows and with the help of this tool user can crop anything displayed on the desktop screen into four shapes; circle, polygon, rectangle and free hand. 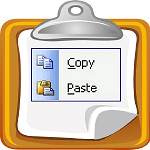 Clipboard extension is for windows platform and the idea comes from the clipboard of Microsoft word. It stores information of last five clipboard items and make them available throughout the windows. Software stays in the tray and user can paste any of them, anywhere in the windows.